Fleets are only the custodians of a car for the first stage of its life. So the decisions on vehicle safety made by Fleet Managers and organisations have an impact long after the car has left the fleet. “Road safety is a shared responsibility and we want to ensure you arrive home safely every day,” Mr Corboy added. The consequences of road crashes were put on prominent display at the Sutton Forest service centre rest-stop on the Hume Highway, south of Sydney during January with two crashed vehicles starkly conveying the difference between life and death. ANCAP vehicle safety experts and their crashed cars were on hand at the rest-stop to field questions from the community. 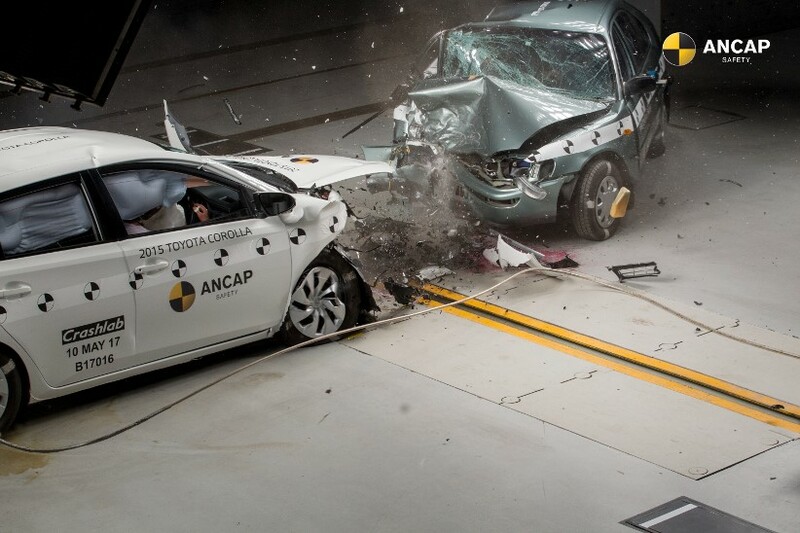 “The cars on display show the stark reality of how two different vehicles fare in the same crash,” said ANCAP Chief Executive, James Goodwin. “Safer vehicle choices play an important role,” Mr Goodwin said.